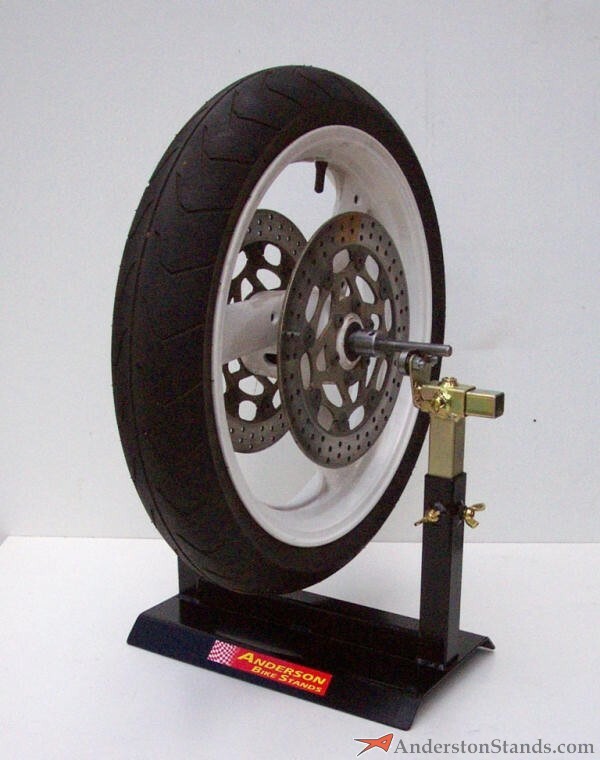 The workshop balancing jig is able to static balance any motorcycle wheel, using either the bike's own axle or a universal shaft with bearing cones to hold the wheel. The axle or shaft spins on 4 small ball bearings. 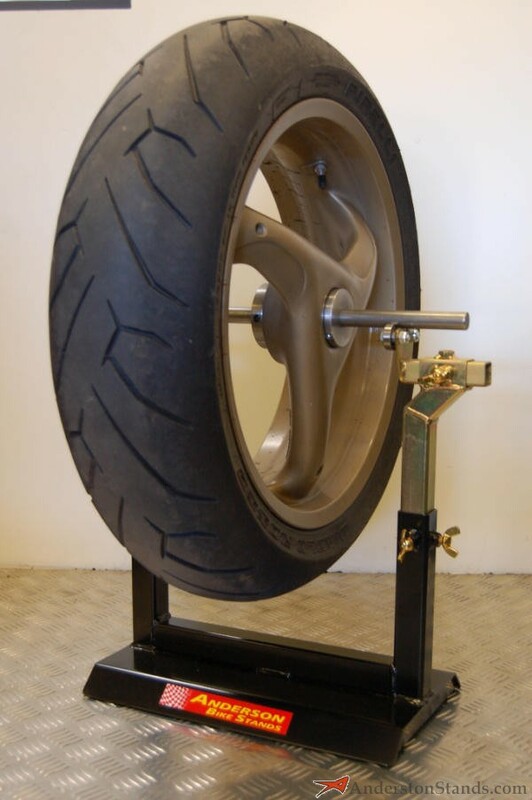 We have large cones available to hold rear wheels of single sided swingarm bikes, and allow them to be static balanced on the workshop or compact balancing jigs. These attachments fit to the workshop balancing jig, and allow it to be used as a platform for spoked wheel truing. 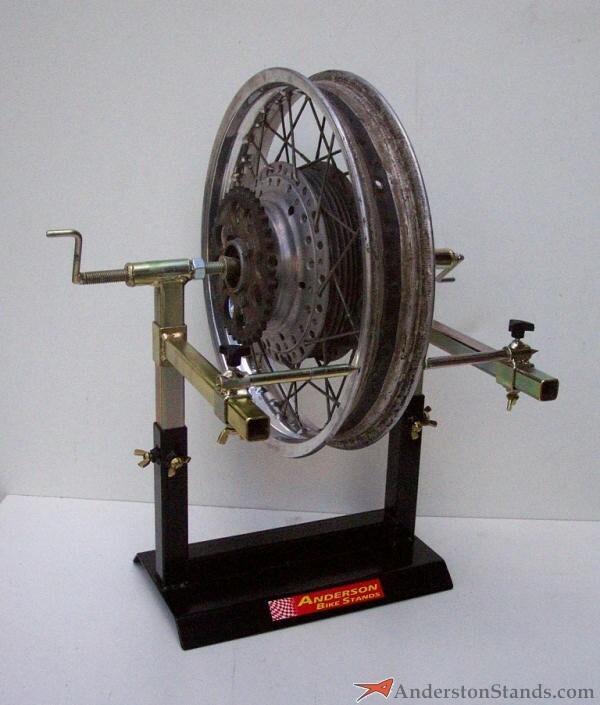 A portable tool for pressing the bead of the tyre off the bead groove of the rim, in preparation for tyre changing. Fits all wheels. 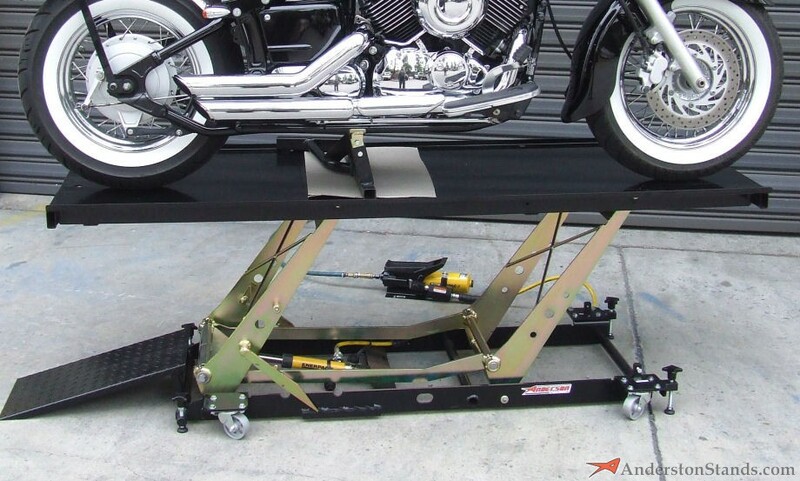 These steel benches offer a cheaper and more portable alternative to a hydraulic lift bench - the bike is pushed up a ramp to get on the bench. The legs are removeable, and can be set at different heights. 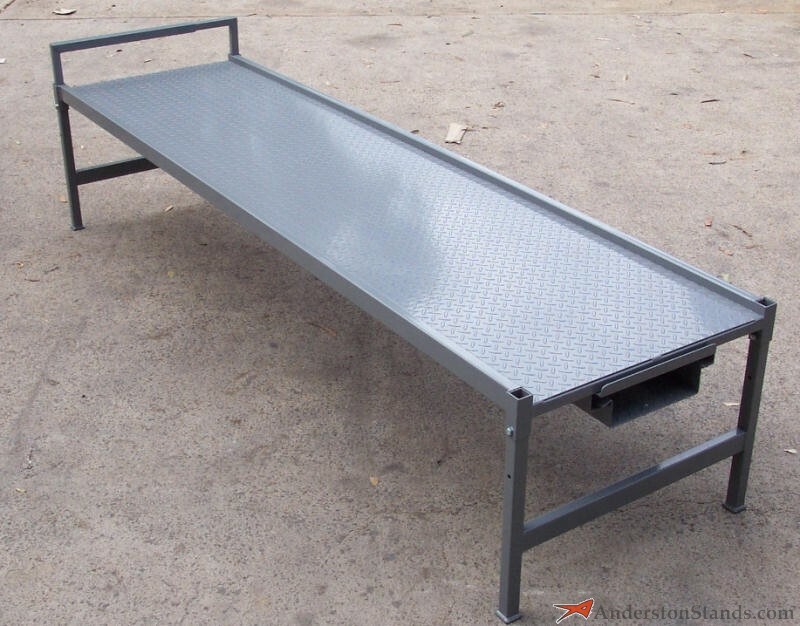 Can be optioned to provide storage tracks for the ramp under the bench. 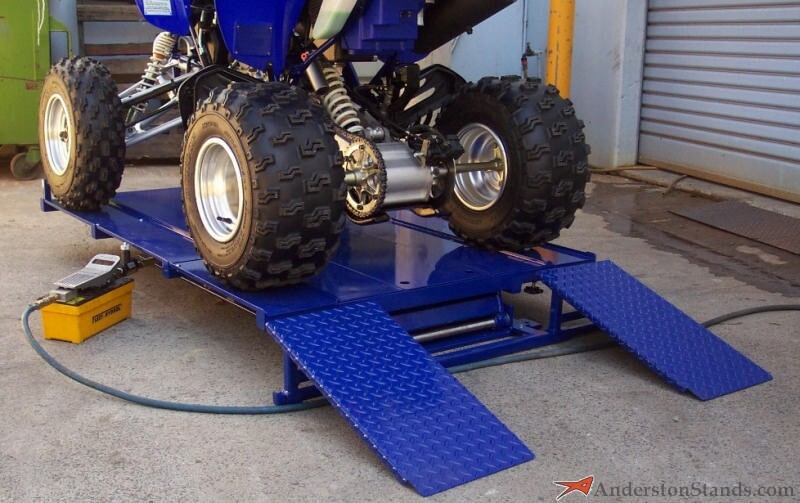 Ramps can be supplied as an extra. Our hydraulic lift benches have now been in service in professional workshops for up to 20 years. They are sturdily built, with greasable pivot points for maximising the life of the bench. The lifting effort is supplied by a high pressure Enerpac hydraulic cylinder, powered by a compressed air driven hydraulic pump. 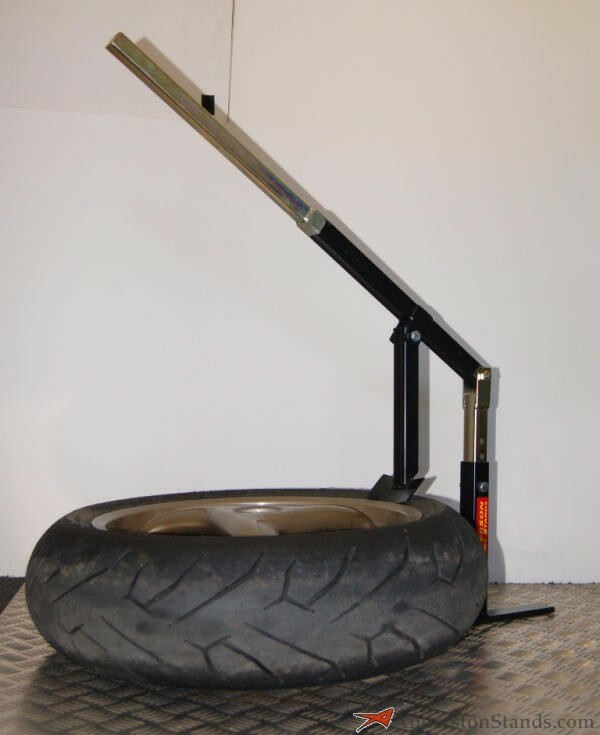 Lifts the bike from 150mm to 850mm, and can be safety locked at 6 different heights along the way. 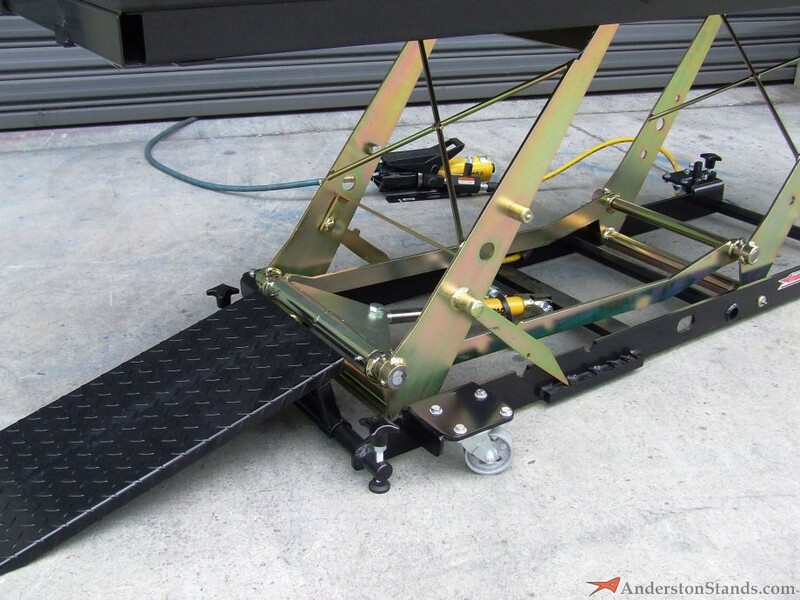 There is a removeable panel below the rear wheel to make wheel removal easier. Now with wheels to allow easy movement in the workshop. 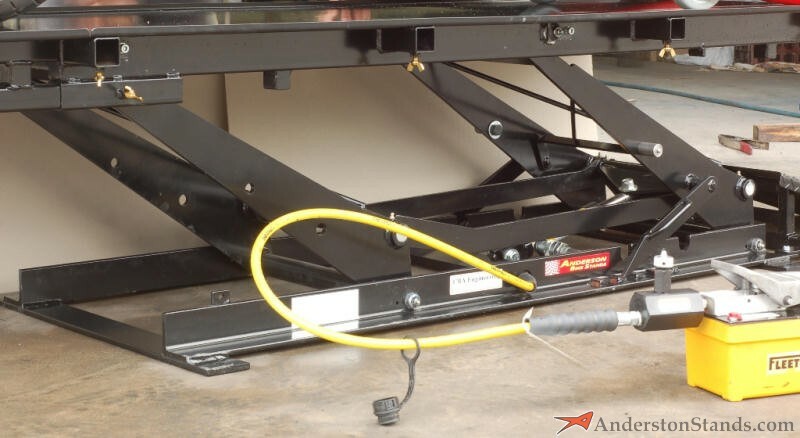 This version of our hydraulic lift bench is designed for use with ATV's, motorcycles, and lawn mowers. The configuration of the bench can be changed in seconds, by adding and removing panels. When in ATV mode, the end panel can be removed, making the bench shorter. Then there are 6 panels, (3 on each side) which make the bench wider. Once the ATV is up on the bench, the centre side panels can be removed to allow better access to the engine of the machine. The 2 ramps can be moved to suit the configuration.